Surveying Print. Technical Printers Support AEC/GIS Documents. Architecture, engineering, and construction and geographical information service professionals look to technical printers for effective output that supports their business. The latest technologies are particularly helpful to this segment with in-house printing, copying, and scanning functions that reduce print costs and improve efficiency. Established in 1955, Denn Engineers is a land survey and civil design firm specializing in residential and commercial surveying including boundary, topographic, ALTA, and AsBuilt surveys in Torrance, CA. The company operates in a 3,500 square foot space with 15 employees and offers subdivision services like tentative maps, final maps, and condominium plans as well as property line disputes, lot line adjustments, legal descriptions, and construction survey, staking, and certifications. Since its beginning, Denn Engineers used technical printers to meet technical mapping requirements set by the Los Angeles County and local cities. The Epson SureColor T5200D is a 36-inch printer with double paper rolls for automatic paper loading and automatic media changeover. It uses Epson’s PrecisionCore TFP printheads and outputs an A1 print in 28 seconds. With this device the company generates field surveys, tract and parcel maps, and topographical and aerial maps for the Los Angeles County and local cities. “80 percent of our output is with the technical printers due to many requirements that must be met in those types of developments,” offers Shweiri. Denn Engineers also uses the Epson SureColor T3170 and HP DesignJet 800 42-inch model. The SureColor T3170 wireless printer produces A1/D-size documents up to 24 inches wide. Its compact desktop design is ideal for producing blueprints, line drawings, and posters with the ability to print from a roll or the automatic sheet feeder. With its digital devices, Denn Engineers typically uses OEM ink. Paper type varies on pricing and specific requests. Most mapping is generated in AutoCAD. According to Shweiri, the company rarely experiences any challenges or limitations with technical printing. “Sometimes a client will request a specific paper size that is not within our dimensions or unusual paper media,” he admits. Denn Engineers typically completes surveys in less than a week, with one day at the site followed by three days in the office. Large projects likely require more time and expediting is also available for completion in a day. The land surveying firm receives approximately 600 projects a year with 80 percent of its output completed on the Epson SureColor T5200D. “We make every effort to provide our customers with quick, accurate, and cost-effective projects and having them printed in house has lowered time spent on the project as well as the total cost,” comments Shweiri. Denn Engineers enjoy printing documents in house and having the finished product in hand immediately without the need for finishing or proofing solutions. Because it uses UltraChrome XD inks with its SureColor T5200D, Shweiri says the printed images are vibrant and smudge- and water-resistant. The ability to scan on the device is also an added value to the firm’s customers. For example, if a client comes in with a set of plans that are torn or damaged, the company easily scans a second set. 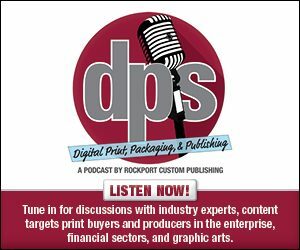 Click here to read part two of this exclusive online series, Surveying Print.